There are some views so beautiful they can heal the soul. 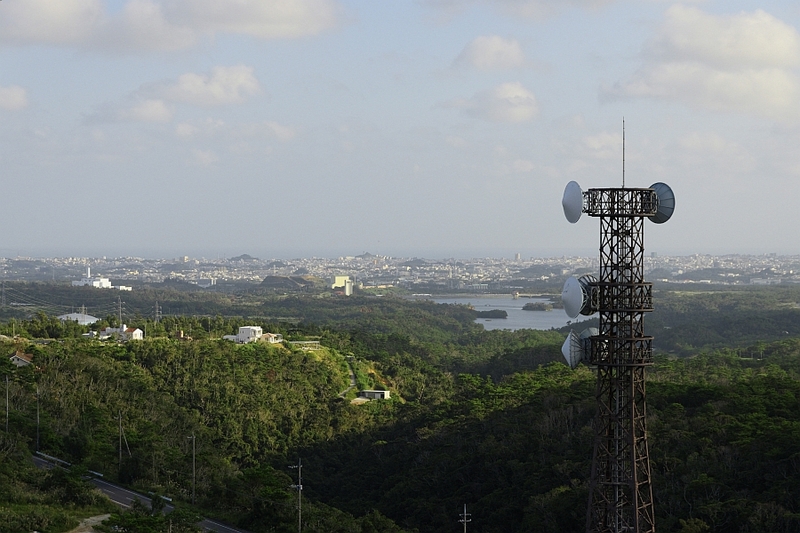 Such a view exists at “Ishikawa Plateau Observatory” in Uruma City’s Ishikawa Yamashiro. 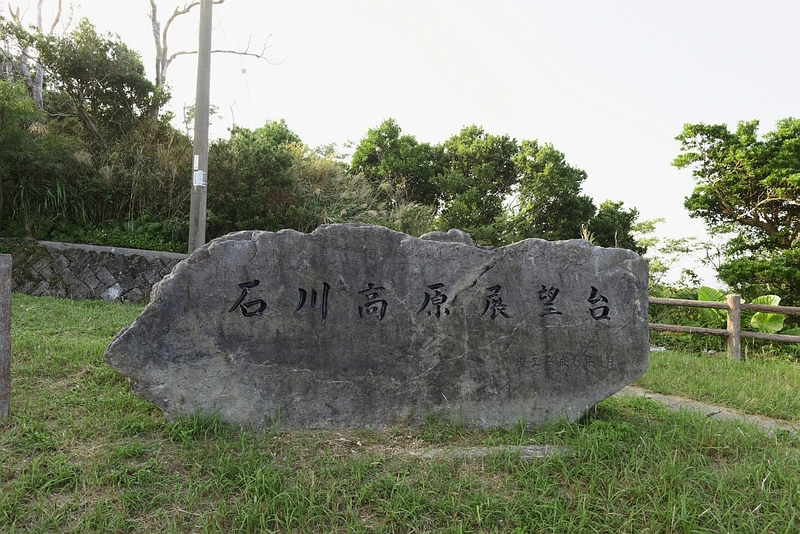 The plateau is surrounded by luscious nature, with a view of both the East China Sea and Pacific Ocean. At the entrance, visitors are greeted by a foursided roofed building. cool forest air and the dense smell of vegetation surrounds you. On the left side of the stairs stands a cherry blossom tree. 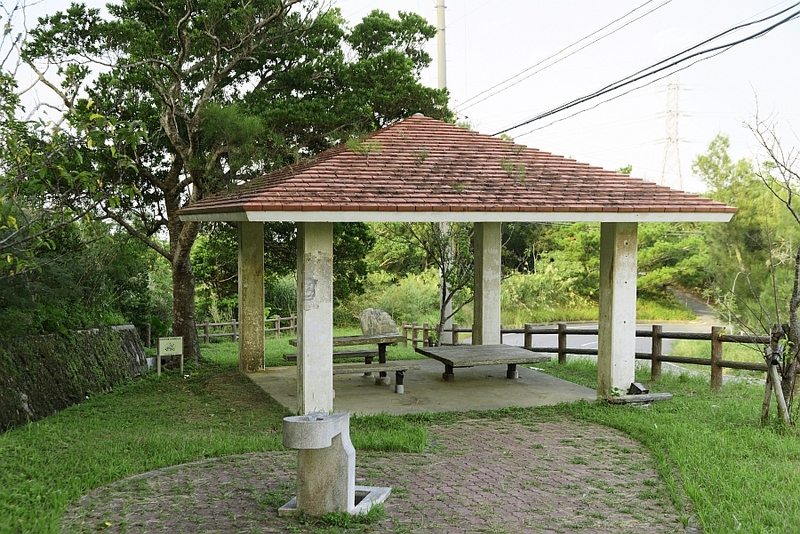 During spring the cherry blossoms bloom and brighten the forest surroundings. 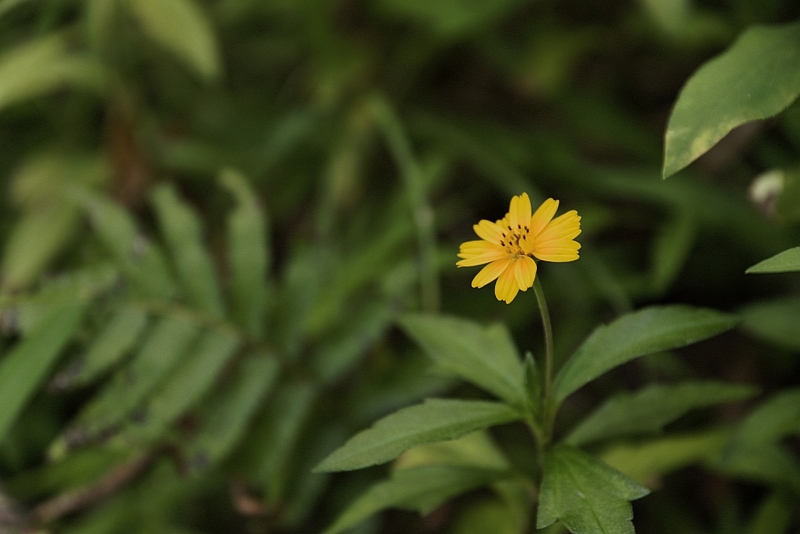 The climb to the mountain’s summit is filled with various plants and flora. Beautiful yellow flowers and autumnal Japanese silver grass sigh in the wind. 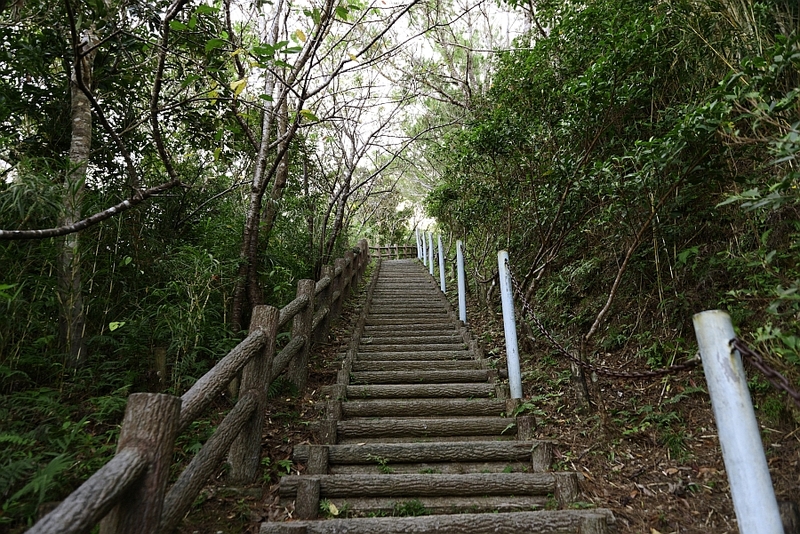 The stairs continue for quite a ways, so be careful and climb at your own pace. so feel free to take a rest and drink some water. 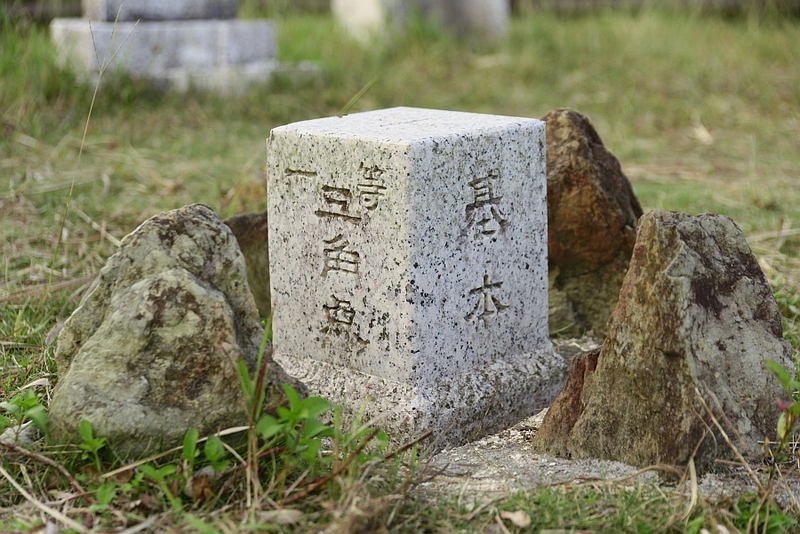 After arriving at the summit, you’ll find a stone marker next to a spectacular view. it makes thinking about the superb view waiting for you even more exciting! 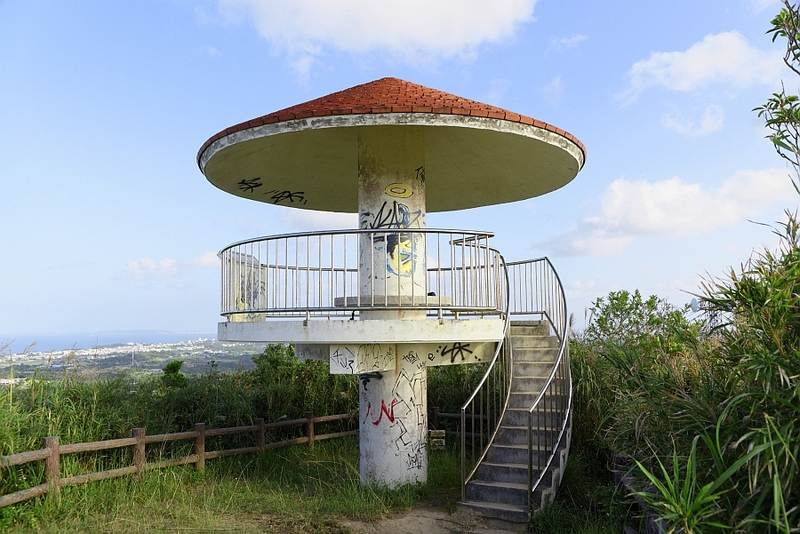 At last, an observation deck with the adorable appearance of a spinning top appears before you! so beautiful you’ll forget all about the sweat left from the climb. 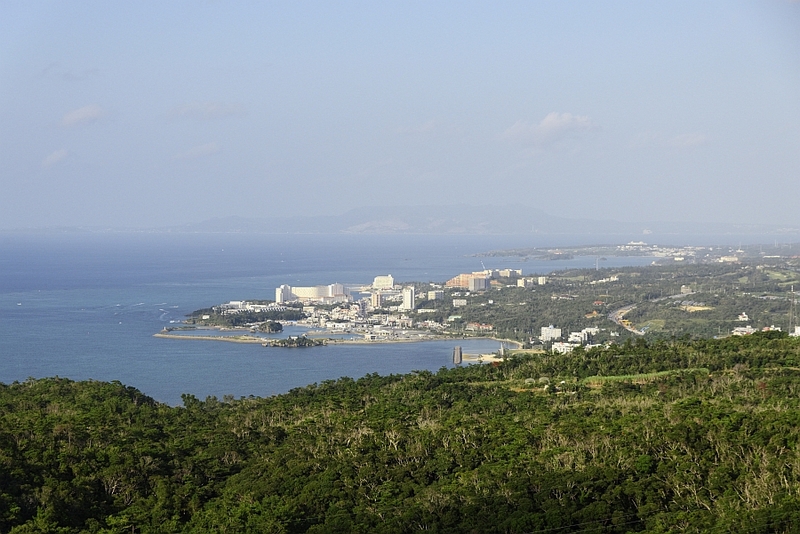 This is the narrowest area of Okinawa, with only four kilometres between the West and East coasts. 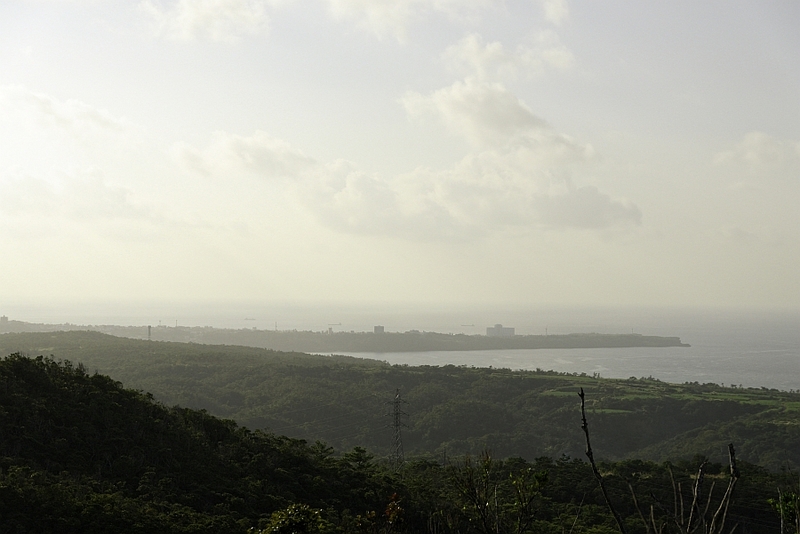 To the left is the China Sea, to your right the Pacific Ocean, and in the middle lies Onna Mountain. 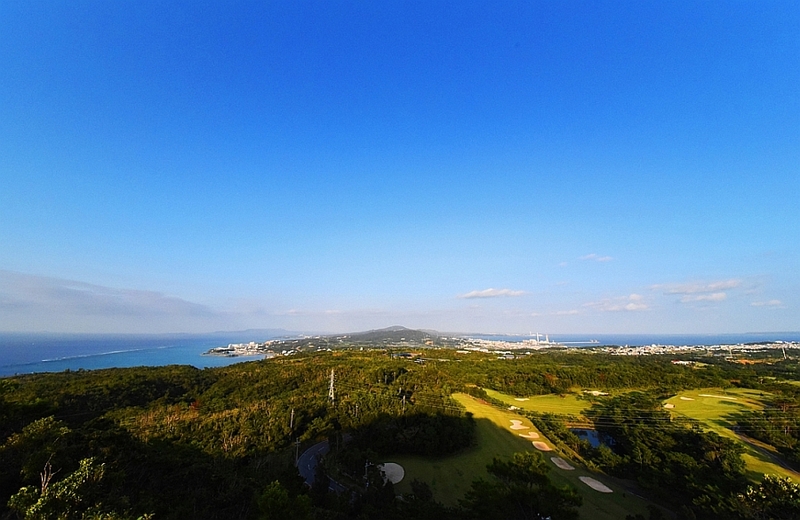 The blue sky, jade ocean and green mountains interweave, creating a soft, vibrant scenery. Now, what other beautiful views lie in wait for you? 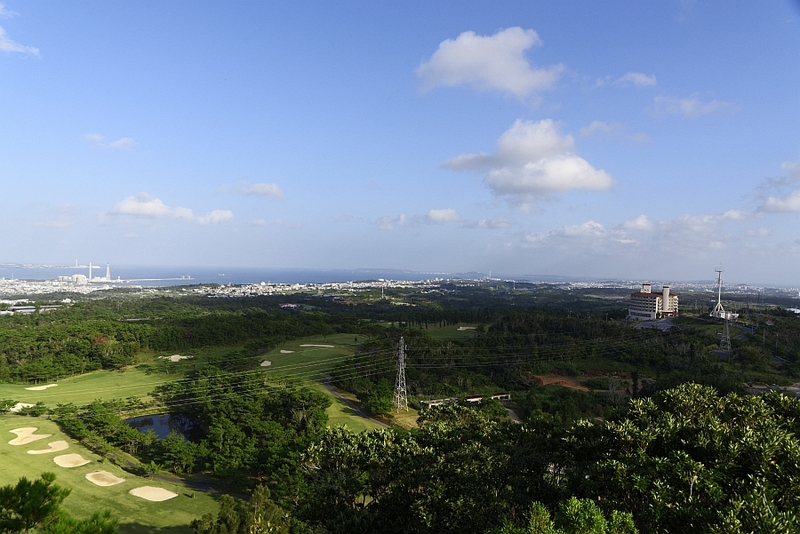 The large building is Onnason Hotel, beyond which lies the Motobu peninsula. 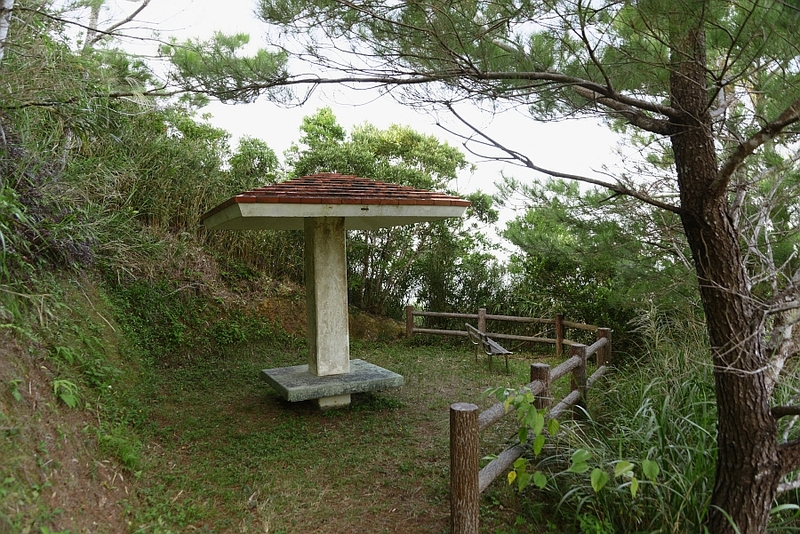 From the southern side of the observatory you can see the Zanpa Cape in Yomitan Village. 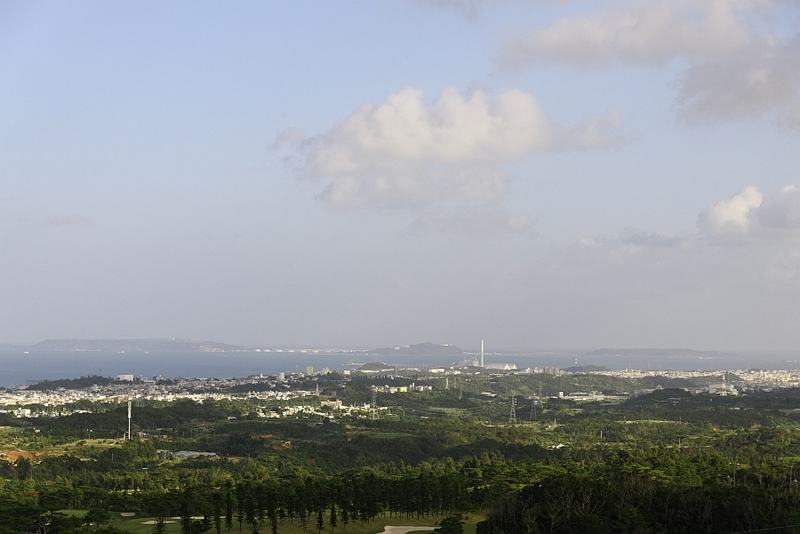 You can see the city area of Ishikawa too. Next, let’s turn to the Pacific Ocean. beyond which lies Kin’s Thermal Power Station. Sandwhiched between the two is the Kin Bay. Miyagi Island, Henza Island and Hamahiga Island. 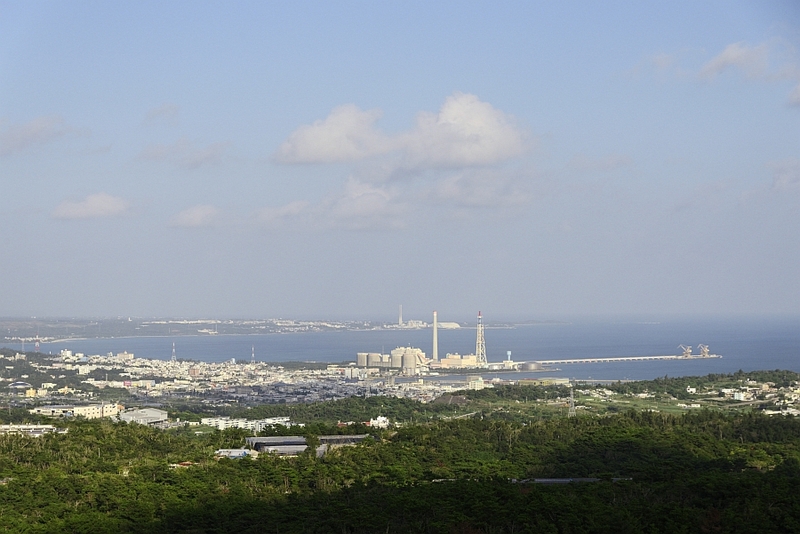 Towards the Zukeyama dam you can see Okinawa City. surrounded only by ocean. 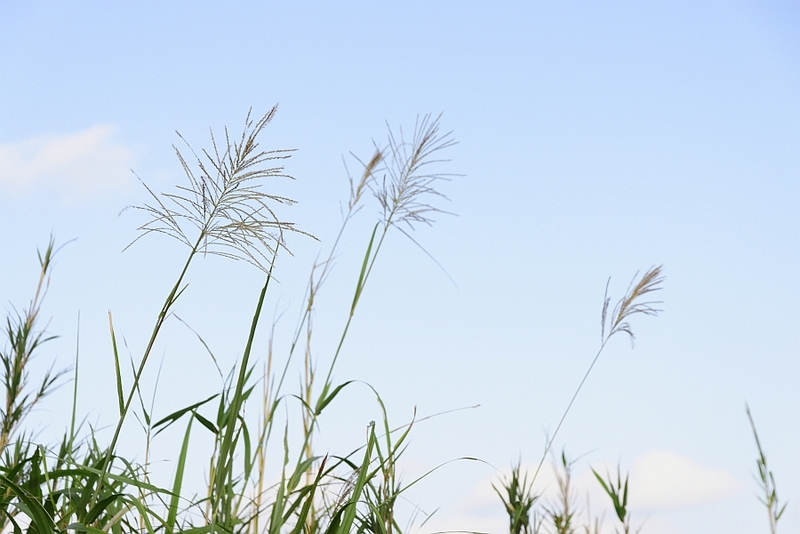 An occasional comfortable breeze ruffles your face as your gaze is captured by the beautiful scenery. The observatory is filled with people taking videos with their video camera and panorama photos on their cellphones. along with the whispering flowers and calm breeze.